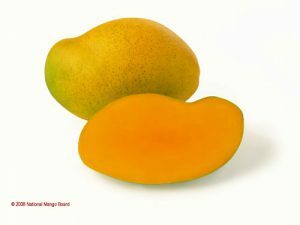 Sweet and spicy, this variety of mango is Greenish to bright yellow in color. It brings along not only the sweet taste of Haiti where it is primarly grown, but also its spice and zang. Its texture is soft and juicy with some fiber. It is available between March to August.